The Stomp Out Malaria Bootcamp was intensive, inspiring and by far one of the highlights of my Peace Corps service. 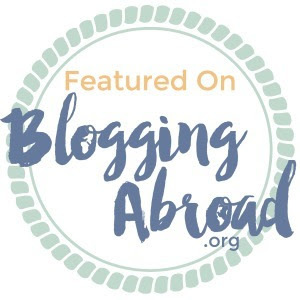 Surrounded by 37 other PCVs from 14 different African countries, I learned about malaria best practices, current initiatives and got to speak with global leaders in the fight against this disease. Peace Corps Benin meets Peace Corps Senegal, Thies, Senegal. Over the course of two weeks, we explored different ways that PCVs can use their own resources and innovative technologies to combat malaria in their how countries and communities. We had the opportunity to meet a true hero in the fight, a local man who lost his daughter to malaria at age 12 and who, over the past 15 years has championed his community to become malaria free. In Senegal, where malaria is still one of the number one reasons for child mortality, this is a true miracle. In addition to the hours of malaria work, we learned about conducting behavior change activities, piloting grassroots soccer and Moderating focus groups to determine doer vs non-doer behavior patterns. With the help of our amazing facilitator, we were critiqued on our presentation skills and given feedback on how to pursue careers in international development while marketing our peace corps skills in the modern age. 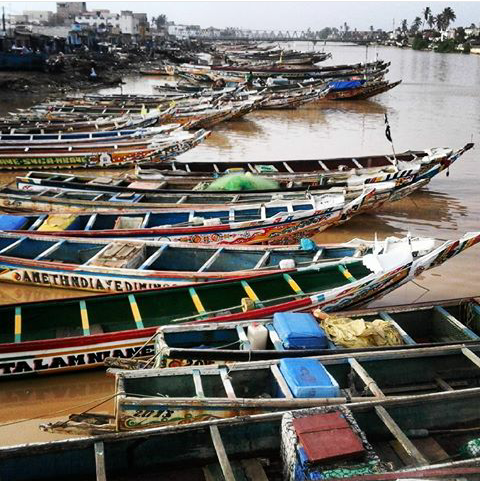 Piling into a sept-place, the easiest form of transport in Senegal. Despite all the material that was covered, one of the most important parts of the experience was the networking. With people coming from as far as Madagascar and Zambia, I now have a better image of the scale of Peace Corps in Africa. And, I can't imagine serving anywhere but Benin. From late night trips to the local gelato spot and helping non French speakers navigate the fabric stalls of a west African market, I'm walking away with new connections, ideas and friends. 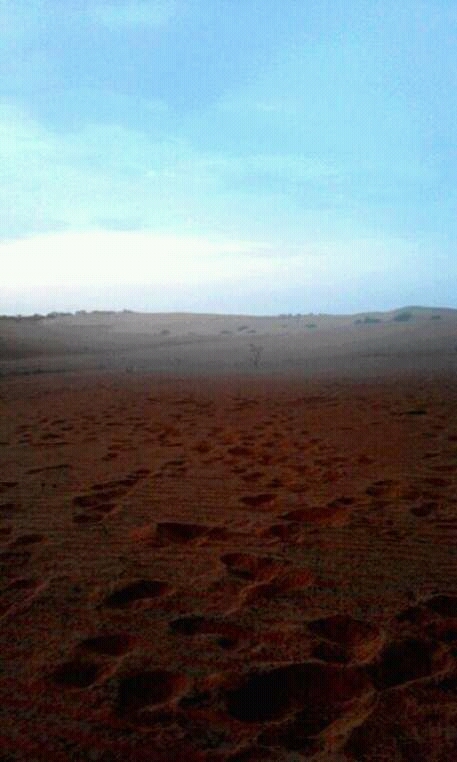 Before leaving Senegal, I got to explore a little bit more of this beautiful country. From Thies, a group of us hired a station wagon and headed for a night of desert camping in Lompoul. Located about 2 hours north of Thies, we were picked up by a open back tractor (imagine a hay ride), and driven out to Camp Desert. Upon our arrival, we were escorted to our site, where an inviting canvas tent awaited us. Rains moving across the desert. The desert was beautiful and immense, sand dunes stretching in all directions. Camels relaxed under the shade of a few trees and we enjoyed the solitude that only vast emptiness can bring. 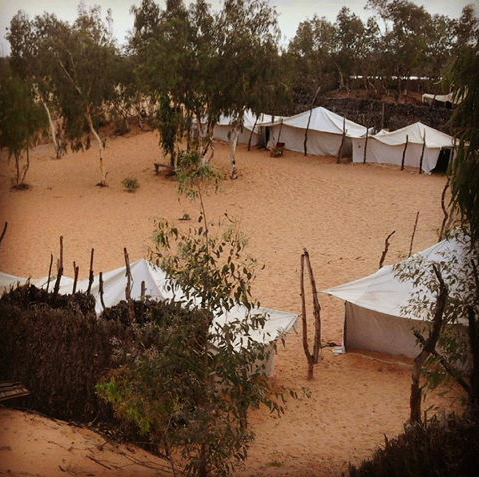 As we sat in silence, a rain storm began making its way across the sand, forcing us to take shelter in the communal eating tent. At night we gathered around a bonfire and danced to the beat of traditional drumming with the other visitors. It was an amazing experience. From the desert, we headed north to the island of St. Louis, the former colonial capital of Senegal and Mauritania under French rule. The island, which is connected by a simple truss bridge to the mainland, is now a UNESCO world heritage site, and walking down the streets one can easily point out the colonial influence in the wooden shuttered architecture and beautiful rooftop gardens. We found a nice little B&B to spend the night and set off to explore the island. Crossing another bridge, we came to the more populous part of town, away from the tourist hotels and home to hundreds of long horned sheep and colorful fishing boats. We roamed the streets, caught a glimpse of the ocean and then enjoyed a meal at the infamous Vietnamese restaurant, which didn't live up to its amazing reputation. At night we went to dance at the Iguana Bar, a Cuban club that only played top hits. 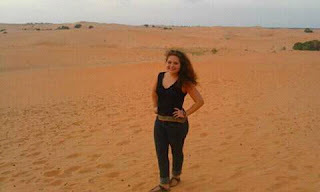 The next morning, I enjoyed coffee from a garden patio and waited for the other girls to head to Dakar for our flights. We finally headed out, caught a taxi and left for the capital. With a couple hours to kills before my flight, I took the opportunity to wander to Pointe des Almadies, the most western point on continental Africa. Dakar itself is a bustling and developed city, well worth a trip back to explore Goree, the slave island, and the art scene. Instead of heading straight back to Benin, I'm off to a couple weeks of much needed repose in America! Can't wait to see family, enjoy the cooler weather and eat more fresh blueberries than humanly possible. In true fashion, Team Benin rocked meme tissu during the training! Intro To Mapping: How You Can Help Plot Communities Worldwide! 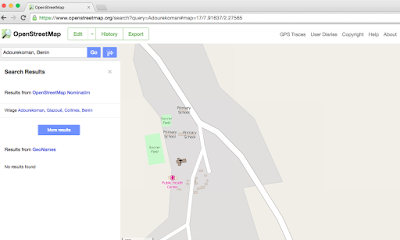 Have you ever searched for your house using Google Earth? 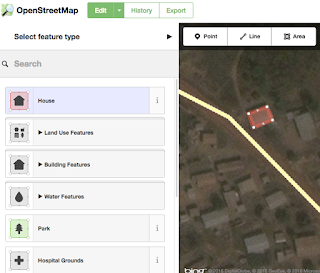 Used satellite imagery to scope out a new neighborhood, plan a trip or avoid traffic? 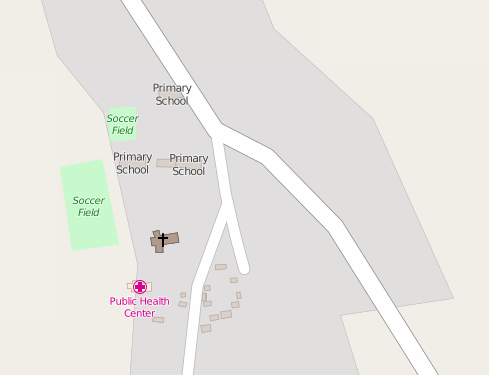 Well, satellite imagery is incredibly useful, especially here in the Peace Corps! 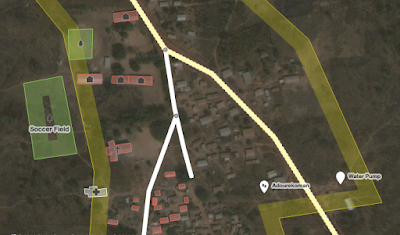 While you have all seen pictures of my village, I've never actually shown you a map of my community. Well, all of that is about to change! 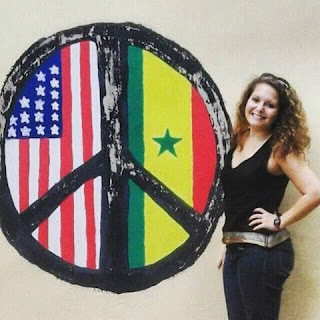 Here in Senegal, Peace Corps Volunteers from across Africa are learning about the advantages and utilities of mapping to track public health, agricultural, economic and a various number of other initiatives. 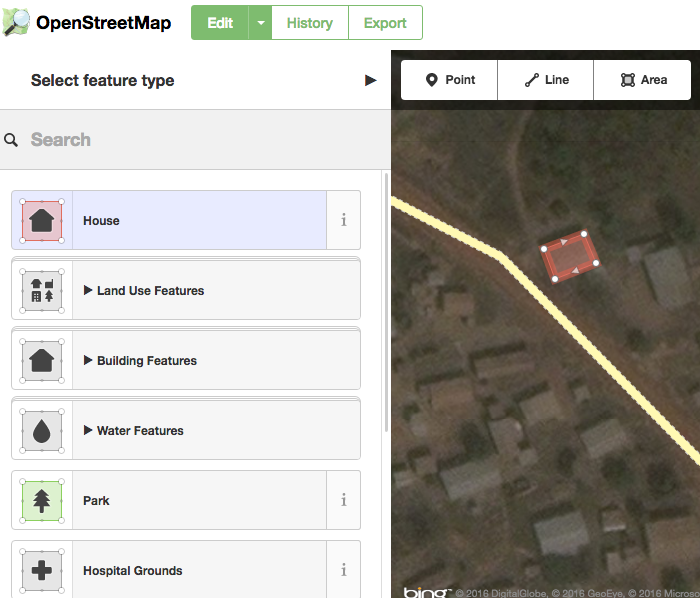 Over the next two weeks, I will be working to plot out my village using an open-source tool called OpenStreetMap. And here's where you come in! 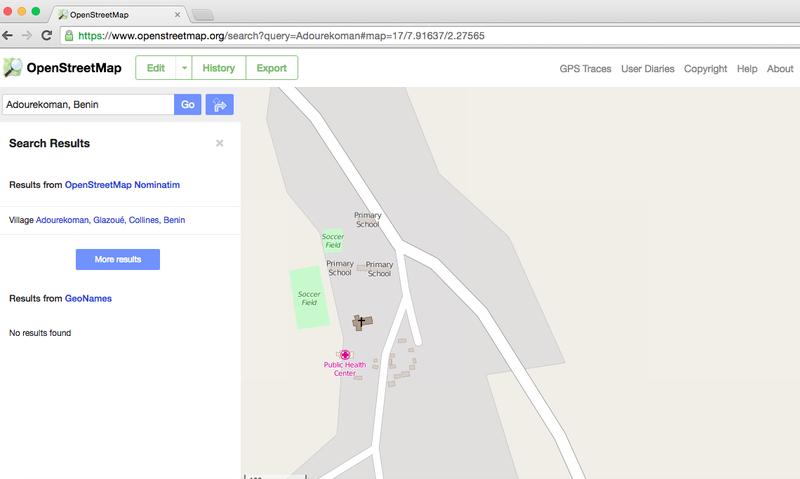 As an open source database, you can help me map Adourekoman from your own living room. Since I'm sure your wifi connection is much stronger than my own, I can assure you that this will be a fun, easy and informative experience. So, get your computer ready, find a comfy seat and prepare yourself for an awesome (m)appy hour! I've already located Adourekoman on the map, all you have to do is zoom in and start tracing! Tracing is easy! I've done all the major buildings in Adourekoman. Using the drawing tool, you can go in and add all the other houses in the community! 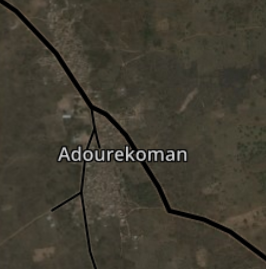 This is the first map of Adourekoman...ever! 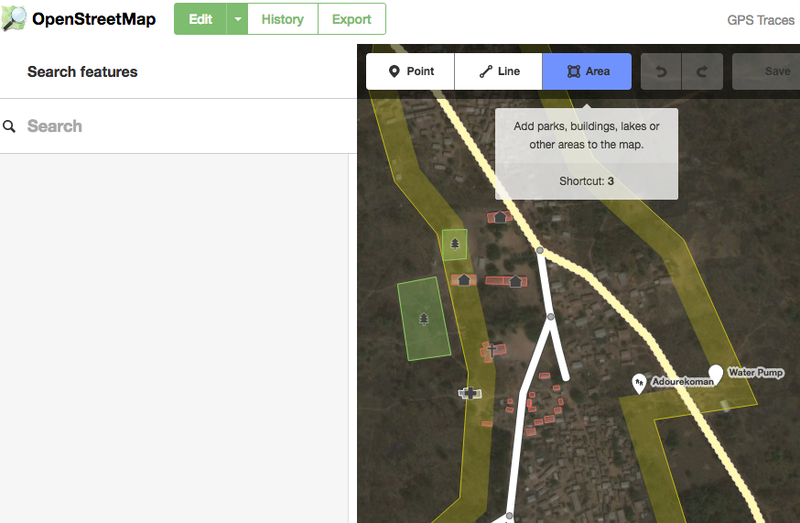 I'm hoping that we can finish it up and use the map to start tracking projects. So... How can you help? 3. Search Adourekoman, Benin and select "Village Adourekoman, Glazoué, Collines, Benin"
6. Select Building Features and Choose "House"
8. Click the blue "Save" button and you're done! 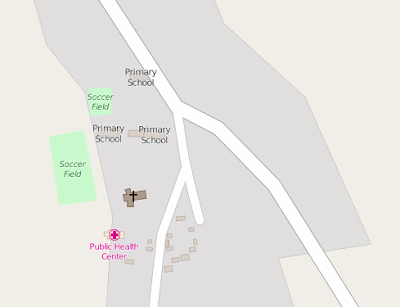 You've helped map one more building in my community! 9. 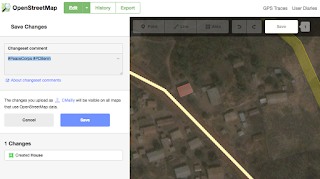 Continue adding, saving, and participating in the global mapping community!! It's been a little while since my last update, but I can assure you that things have been exciting and busy post-camp. In addition to wrapping up the camp activities, I was back in village to implement some project follow-up before leaving country for a couple weeks. 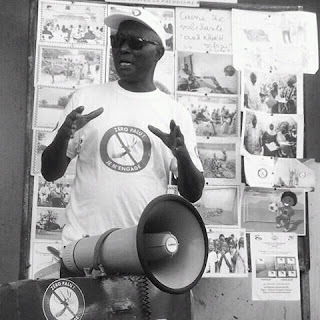 Starting today, I will be participating in a malaria intensive two-week program called STOMP Out Malaria in Thies, Senegal. Volunteers from various Peace Corps posts across Africa are invited to this training to foster collaboration, learn about best practices and really dive deep into the problems of malaria endemic countries. 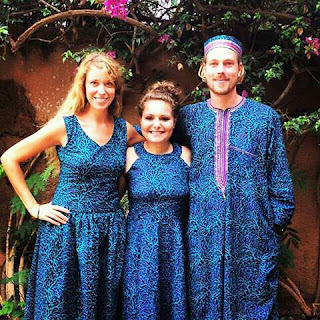 I have the privilege of attending with two other Benin PCVs, Karsten and Nicole, both of whom serve on the Benin Against Malaria (BAM) Committee with me. We left Benin yesterday morning and, like most travel in Benin, it was not smooth sailing. After grumbling about our airport drop-off time, we arrived at the airport at 7 am for a 10:30 am flight. We were dumbfounded when guards told us that the plane was already boarded and they wouldn't let us in. August 1st is Benin's Independance Day and the security was adamant that the airport was closing at 8 am. We talked our way into the airport, were rushed through baggage check and then waited patiently in the passport control line for about a half hour. When we approached the booth, we were yelled out for not completing the proper forms (what forms?!?) and then shuttled through security and into a mini van that sped us across the tarmac. We walked onto the plane only to find it full of people, none of whom seemed phased by the 3 hour change in departure time. Only in Benin would a flight leave hours early. Once the plane took off, we were notified that there would be a brief stopover in Accra, Ghana en route to our layover destination in Abidjan, Ivory Coast. The plane ride was uneventful, but freezing cold, something I haven't experienced in months. We arrived in Abidjan for our layover and enjoyed a quick snack before boarding for Dakar. The second flight was equally uneventful, and slightly warmer. We touched down in Dakar about 10 hours after leaving Benin and were greeted by Peace Corps staff who escorted us out and drove us the the Peace Corps office in Dakar. Having arrived with the cohorts from Madagascar and Ethiopia, the nine of us set off to explore a little of Dakar. 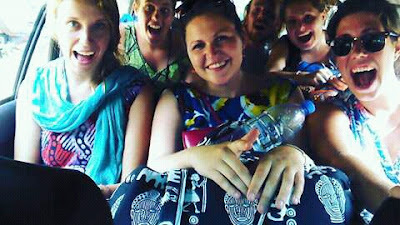 After scouting out the surrounding area, we headed back to catch a ride to the Peace Corps training site in Thies, where we will be based for the remainder of the training. While West Africa has a similar beat, Senegal has some striking differences to Benin. First, the infrastructure is far more developed: roads are paved, lined with street lights and the major highway had electronic toll booths every couple miles. While we are so used to riding zems (motorcycles) as a means of transport, Senegal has no shortage of yellow taxis. Instead of negotiating with a zemijohn for a ride, taxis run on the meter (or atleast they are supposed to.) We arrived at the training site, which resembles our own in Lokossa. There are bunk houses, outdoor gazeboes, but everything exists on a much greater scale. In comparison to the program in Benin, Senegal hosts about 250 PCVs to our 75. So, in general, everything here just feels bigger. After a night of restless sleep (think heat, humidity and mosquitoes), we got up for our only training-free morning this week. Nicole, Karsten and I decided to check out the city and wandered down towards the bustling market which was filled with horse carts, vegetable vendors, fabric shops and more flies than I could count. We found a shop with some different Senegalese prints and negotiated based on our knowledge of Beninese prices. Trying to beat the heat, we headed back to the training site, making a quick stop in an artists compound to scope out the local artisanal wares. Training starts this afternoon and will continue until the 13th. We will be discussing our own programs in Benin, learning about malaria transmission, prevention and implementing behavior change initiatives based on various different models. It's going to be a grueling two weeks, but I'm excited to meet other PCVs, learn more about posts across Africa and share our experiences. 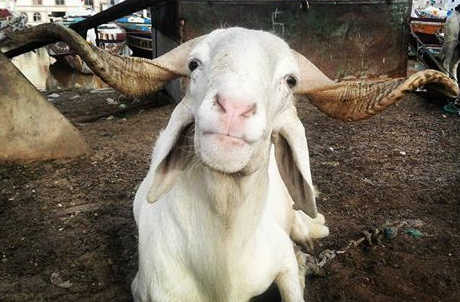 Sending love from the other side of West Africa!